Welcome to Swampscott Community Power, a Town electricity program that gives Swampscott residents and businesses an electricity supply alternative to National Grid, while also helping to support the Town’s sustainability efforts. The program is an electricity aggregation. Electricity aggregation is a form of group purchasing in which a city or town selects an electricity supplier on behalf of its residents and businesses. The program impacts the electricity supply charges on your National Grid bill. 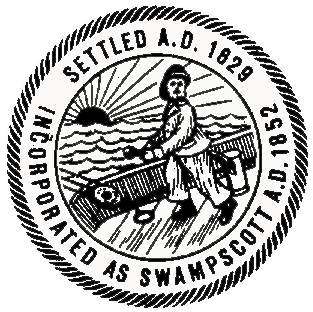 Swampscott launched the program to provide access to trustworthy, well-vetted supply options and cost-effective 100%-green energy. All National Grid Basic Service customers in Swampscott are automatically enrolled in Swampscott Community Power unless they choose not to participate, which is known as opting out. If you participate: National Grid will deliver your electricity, fix power outages, and bill you, but they will not be your electricity supplier. Instead, Swampscott will choose your electricity supplier. Your National Grid bill will show the program price as your electricity supply price. Delivery charges will be unaffected by this program. Standard Green: This is the default option. Standard Green gives you 100% green energy. All program participants are automatically enrolled in Standard Green. Basic: This option meets minimum state requirements for renewable energy, but it is not 100% green. Please note: The program cannot guarantee savings compared with National Grid’s Basic Service price. National Grid’s Basic Service price changes every 6 months for residential and commercial accounts and every 3 months for industrial accounts. Future National Grid Basic Service prices are not known, and it is likely that for some months, the program price will be higher than National Grid’s Basic Service price. Program participants have the right to opt out, or leave, the program at any time with no penalty or fee. If you are on a budget plan or are eligible for a low-income delivery rate or fuel assistance, you will continue to receive those benefits as a participant in Swampscott Community Power. All eligible residents and businesses are automatically enrolled in the program. Eligible customers included residential and commercial National Grid Basic Service customers within the geographic boundaries of Swampscott. New in town? New Swampscott residents who become National Grid Basic Service customers are eligible to participate in the program. You should receive a letter in the mail explaining the program and your right to opt out. If you do not opt out, you will be automatically enrolled. As an alternative, contact Agera Energy at 1-855-973-2788 and ask to join. This the price for the Standard Offering. It is the default price for all customers: residential, small businesses, and medium and large businesses. Price term: July 2017 meter reads – July 2019 meter reads.